Reece Mastin has shown that he can still pull a crowd, with many of the shows in his upcoming ‘Wolf In The Woods’ tour now close to capacity. In the case of the Whyalla gig on October 11, it’s very much at capacity, with the show now officially sold out. Demand for tickets has been quite high, so Reece has added two extra shows to the tour… one in Nowra at the Shoalhaven Entertainment Centre and the other at The Lakes Theatre in Mandurah in the West. Tickets for both new shows are on sale now. 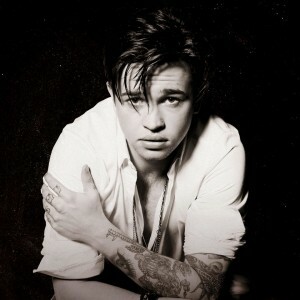 In other Reece news, the former ‘X Factor’ performer recently launched the Reece Mastin Fan Club and those who are fans, but aren’t yet members best get their skates on this week, with the reward for membership being a free download of the new track ‘Wolf In The Woods’, after which the tour is named. The new track will also form part of the tracklist for the singer’s upcoming third studio album, due later in the year. Head HERE to sign up.